I’m a girl with a love all things pretty and my loved ones sure do know how to treat me when it comes to gifts. My boyfriend sought out Cath and Kirstie – my two favourite ladies. A watch pendant has me written all over it. You know I’ve always romanced with the idea of having a pocket watch casually dangling around my neck. Being able to check the time at any given time sure is a novelty. The fact it’s Cath Kidston only cements my love for a brand I will forever admire. To satisfy my crafty needs, inspiration a plenty via Kirstie Allsopp Craft and The Liberty Book of Home Sewing -yes please! Kirstie Allsopp at M&S is always going to be sure a winner; after all I could quite happily own the entire collection given the chance. My Mum always manages to pull out all the stops, and this year was no different. I just adore this Welsh Tapestry purse, it really is quite sweet. The fact she will have tracked this down on one of her second-hand travels makes it all the more thoughtful. My Harajuku wish came true in the form of Jingle G! She really is a cutie and is of course a welcome addition to my Harajuku scent collection. LOVE that Cath watch necklace, LOVE! Your nearest and dearest know you so well, Alice! That Welsh tapestry purse is exquisite, I've never found one in that colour way before. 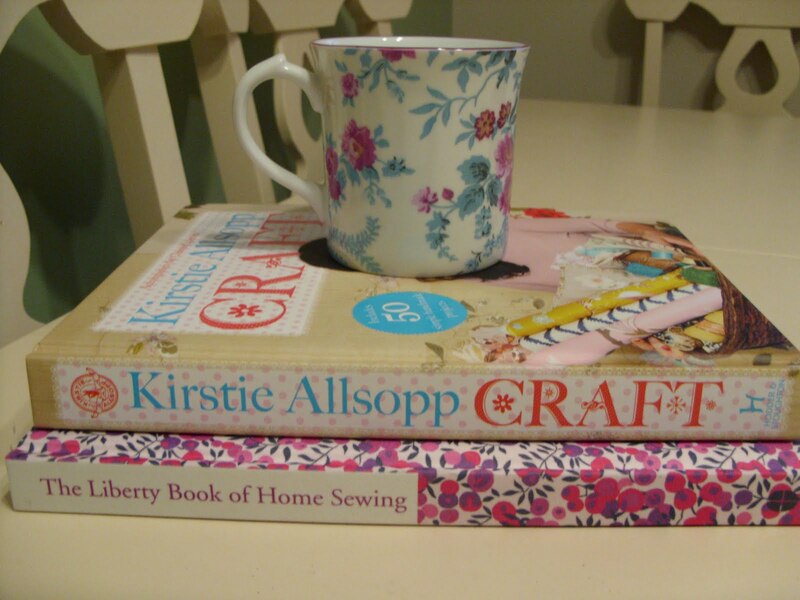 Please share one of your Kirstie crafts with us as soon as you've achieved one! oooooh they are all gorgeous! Love that purse, I've got a clutch bag made from Welsh wool, not as nce as those colours though. These gifts are SO you, Alice! 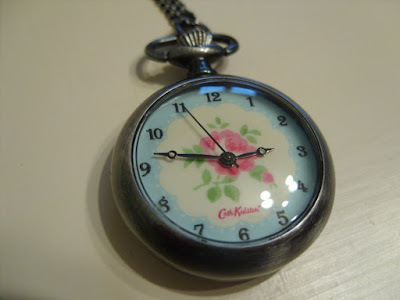 :) You know how much i love Cath Kidston, and that watch is just to die for! Loving seeing your frequent posts doll :) Missing you! Aww, aren't you lucky! Love the books & the tapestry purse is beautiful! Oh wow, I love the watch pendant! This all screams your name! Your family and friends sure do know your taste, I bet you were grinning from ear to ear on Christmas day!